This top hit put the group Alabama on the map! 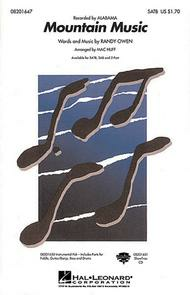 Mac Huff's arrangement captures the spirit and energy of the original recording. Use the fiddle and banjo parts included in the Instrumental Pak for additional authenticity.Available separately: SATB, SAB, 2-Part, Instrumental Pak (parts for Fiddle, Guitar/Banjo, Bass and Drums) and ShowTrax CD. Performance Time: Approx. 2:40.